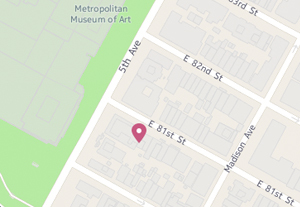 Schiller & Bodo is a private art gallery located on the Upper East Side in New York City, just a few blocks from the Metropolitan Museum of Art. 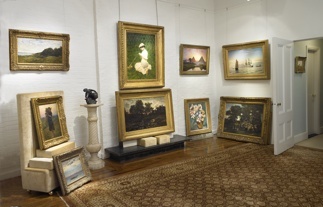 The gallery specializes in 19th Century European paintings, with emphasis on works from the French Academic, Realist, Barbizon and Post-Impressionist traditions. We are open by appointment only. Please call or email the gallery if you would like to stop by for a viewing. Lisa Schiller has been in the art world since 1973. She began her career with prominent 20th century galleries before establishing herself in the 19th- century market. Her expertise is in French Barbizon paintings, though throughout her career she has amassed a great knowledge of Spanish abstract painters of the 20th century, collaborating on a number of exhibitions in Madrid in the 1980s. Lisa’s involvement in the growth of the American market for 19th-century European paintings from its onset, and extensive knowledge of European paintings from 1830-1960 brings a depth of experience to Schiller & Bodo. Lisa Schiller was a founding member of the Private Art Dealer’s Association (PADA) in 1990, and continues to serve on the Board of Directors. Members of PADA are required to have demonstrated the highest level of integrity and professionalism in dealings with colleagues, institutions and the public. Election to PADA is by invitation only and is based on a dealer’s scholarship and contributions to the art community. 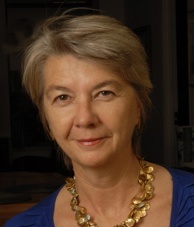 Susan Bodo has been a specialist in the field of 19th-century European paintings for over 35 years. Starting at Sothebys in 1976 as a cataloguer, she watched the field develop from a small, nationally-based audience to an international market. By the time she left in 1981 as head of the department, a 19th-century European painting had held the record as the most expensive painting to be sold at auction. Following that, as a private dealer, Susan Bodo worked for years selling select European paintings to dealers, collectors and museums around the world. In 1990 she formed a partnership with Lisa Schiller and has continued to develop and expand her expertise into the 20th century . 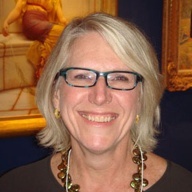 Susan has served on the board of the Fine Art Dealers Association, an international organization of art dealers which has sponsored and organized the Los Angeles Art Show for 17 years.